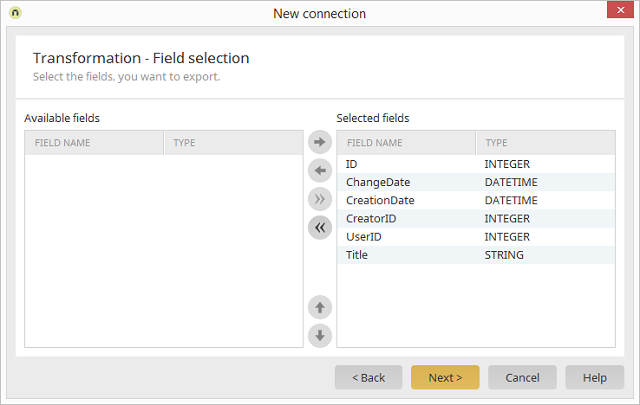 Integration module Data transfer / Create new connection Target type: XML or Text file, Click on "Next"
All of the source fields are listed here. Every field in this list will be written to the target file. Move the currently selected field from one list to the other. Move every field from one list to the other. Adjust the order of the fields.